Home » News » Ladies Golf Open House April 4th! 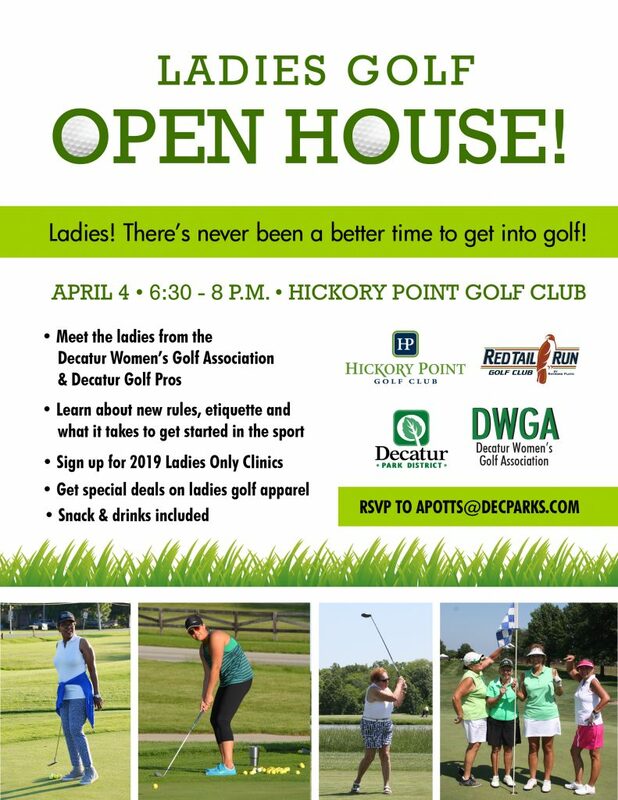 You’re invited to join our golf pros and the Decatur Women’s Golf Association to learn about opportunities for ladies golf in Decatur on Thursday, April 4 from 6:30-8:00 PM at Hickory Point Golf Club. The event is free, please RSVP to Andy Potts at apotts@decparks.com!